I'm always up for a bargain and even more so for a freebie! 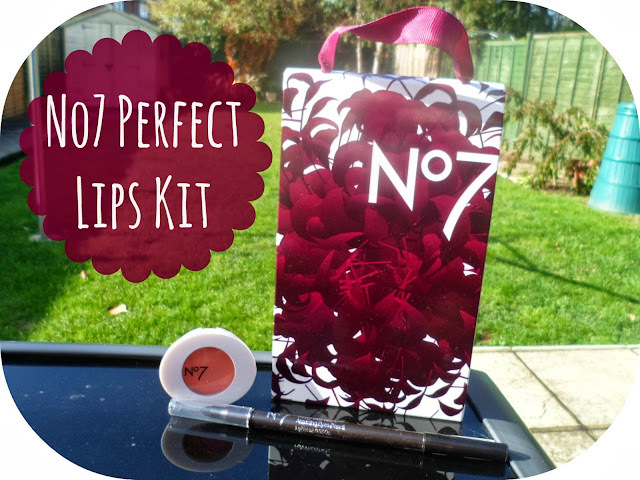 So when I saw that No7 had a beautiful free kit up for grabs I was straight in there! All you have to do to qualify for this amazing offer is purchase 2 or more items from the no7 make-up range! Easy peasy! And a total steal in my opinion as the kit itself is worth £25 with it including a lipstick, a lipgloss and a lip brush. 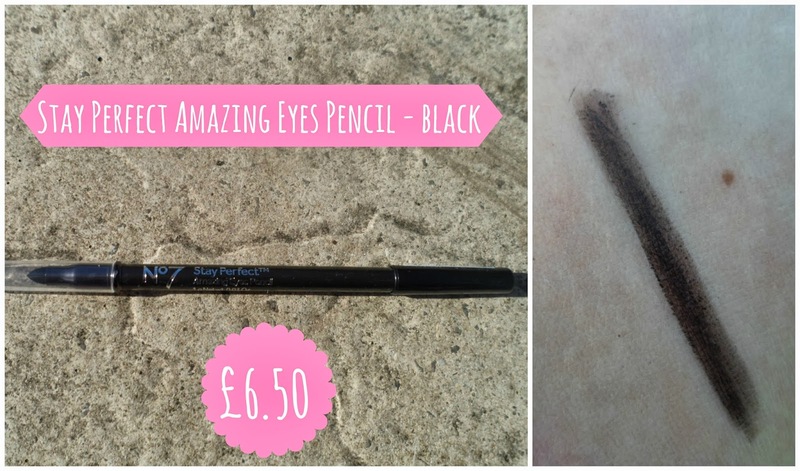 The items I bought to get this kit were - the Stay Perfect Amazing Eyes Pencil in Black £6.50 and the Stay Perfect Smoothing & Brightening Eyeshadow Base £7. I feel like eyeliners run out so quickly so it is always nice to have a few right? I've also been dying to try out a new eyeshadow base so this was perfect! The total of these was £13.50 and with it I received the lips kit which is worth £25 I believe - bargain. 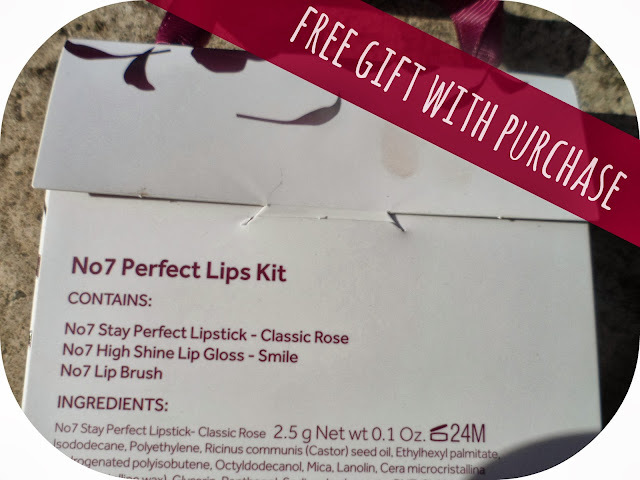 To be fair I was sold by the lipstick alone, I have another one of the Stay Perfect lipsticks and it is such amazing quality, getting one for free was a no brainer for me! As you can see above you recieve 3 items in the lips kit. 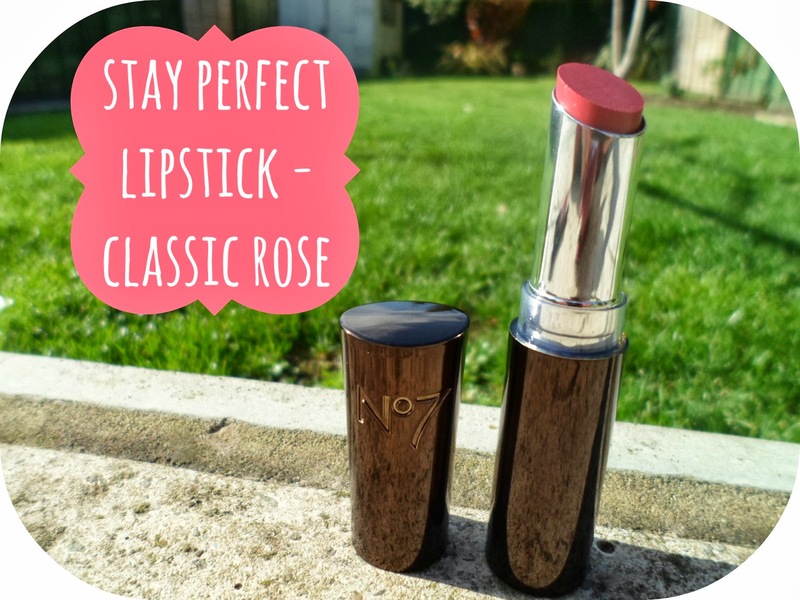 This is the No7 Stay Perfect lipstick in Classic Rose. If you have been reading my blog for a while you will remember me doing a post a little while ago about another one of these lipsticks in the shade - Gay Geranium. The quality of these is amazing, just one coat and the colour is so thick and pigmented (as you can see in the swatch) and this is the perfect daytime, casual colour for me! 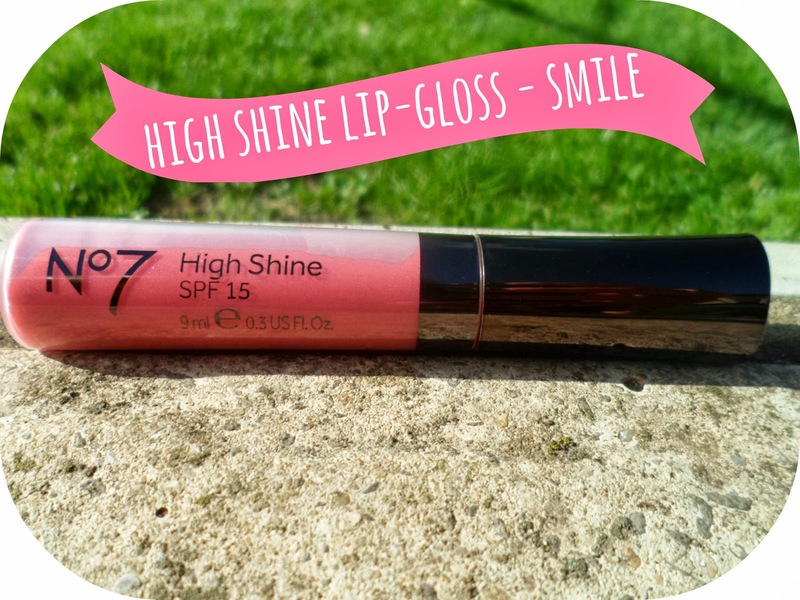 Up next is the high shine lipgloss! This is in the shade Smile and it is a really pretty pale pink. Perfect on its own or to pair with a lipstick. This is a great shade for just a tint of colour on your lips and I know it is probably going to live in my handbag for top-ups on the go! 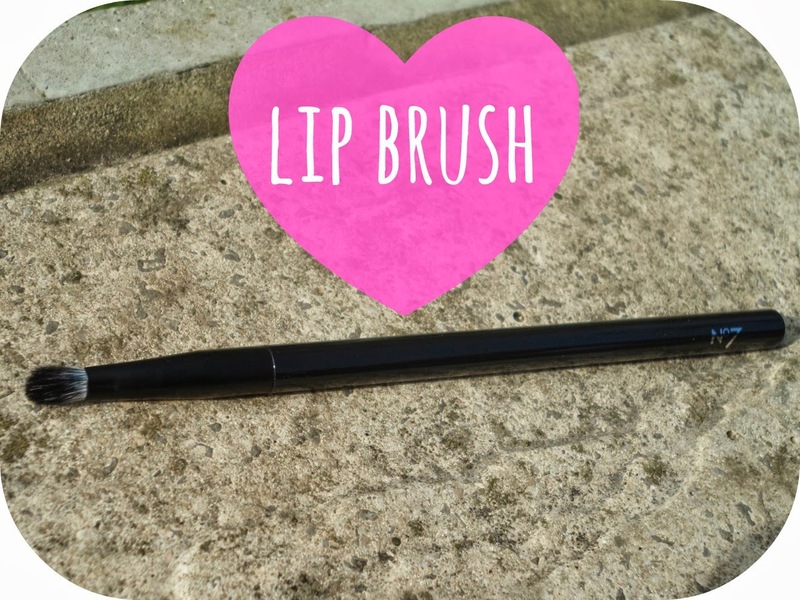 It also comes with a gorgeous lip brush - which is super handy for me as I don't actually own that many! I would only use this sort of thing if I was doing my make-up for a big night out/occasion - normally I just chuck lipstick on and head out the door but I think this is fab for that extra detail! Have any of you managed to pick this bargain up aswell? I'm so so pleased with it! Have you entered my 500 followers giveway yet? Lots up for grabs - head on over to the post and enter now! well this is totally gorge and so worth it! Im heading to No7 when im in town next! Classic rose looks perfect for a winter workplace lip! 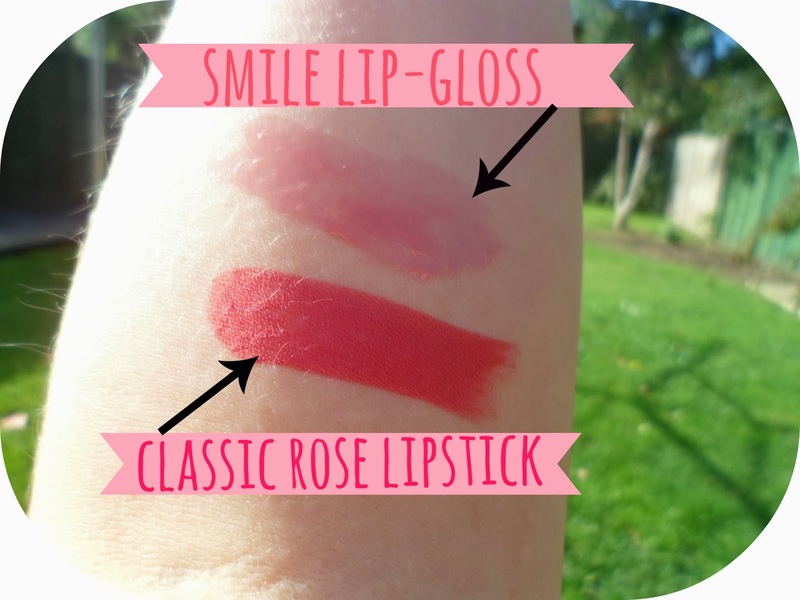 I love the Classic Rose lipstick... hmm tempting!